The Wine & Spirit Education Trust (WSET), the largest global provider of qualifications in the field of wines and spirits, has welcomed CHM (CitySmart Hotel Management) as the first ever Approved Programme Provider (APP) in Vietnam to offer its wine courses. Demand for wine and spirit education is rising, with WSET global candidate numbers up 18% in the 2015/16 academic year and course registrations continuing to show strong growth this year. Following increasing interest from the wider community of wine and spirits lovers, CHM has joined WSET’s global network to cater to Vietnamese wine and spirits professionals and enthusiasts, with courses in Hanoi and Ho Chi Minh. 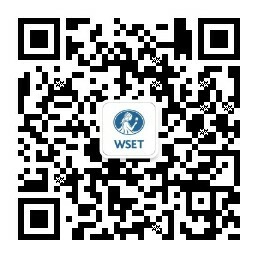 As a WSET APP, CHM now provides WSET’s Level 1 Award in Wines and Level 2 Award in Wines and Spirits. WSET Level 1 Award in Wines gives a hands-on introduction to the world of wine in an interactive and relaxed atmosphere for beginners. The course covers the basics of wine types and styles through sight, smell, and taste, as well as how to store and serve wine and pairing food with wine. WSET Level 2 Award in Wines and Spirits is a beginner to intermediate course exploring the major grape varieties and the styles of wines they produce as well as important wine regions in which they are grown. Participants also learn about key classifications and labelling terminology and are given a basic overview of the key categories of spirits and liqueurs. It is an honour for us to start the prestigious WSET courses in Vietnam, where there is clearly a demand for quality international wine education, not only for trade professionals but also for the fast-growing wine enthusiast segment. We are seeing a very positive response to this project, and we will commit our efforts and passion to contribute to development of wine culture in Vietnam. To learn more about CHM or to view upcoming course dates and book a WSET course at the centre visit chm.edu.vn. Please note courses are conducted in English. Founded in 2012, CitySmart Hotel Management (CHM) set out to become the leader in hospitality education in Vietnam. It prides itself in being the first international hospitality centre in Vietnam to take students beyond the classroom walls, with internationally recognised qualifications combining career focused programs with theoretical and practical training.